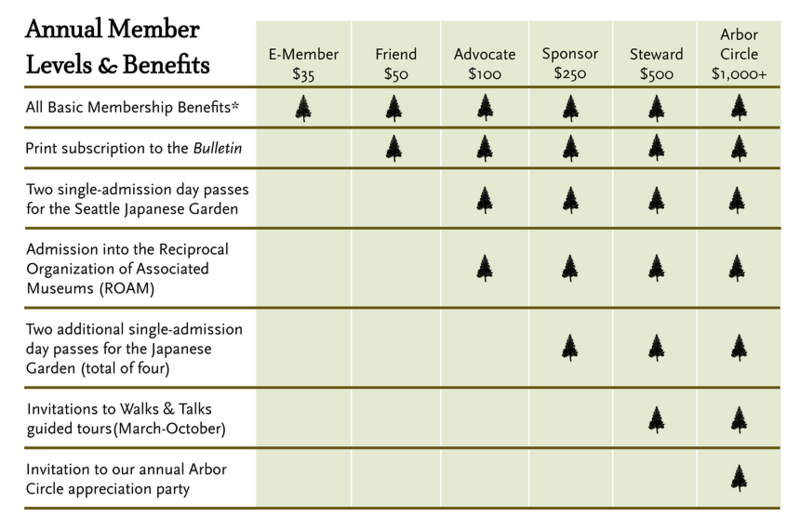 Reciprocal admission privileges and discounts at more than 300 public gardens throughout North America (via the American Horticultural Society). Perhaps the greatest benefit of all, is that you are giving the gift of access to this vibrant place in the heart of Seattle – 365 days a year – to everyone in our community! Two additional single-admission day passes for the Japanese Garden (a total of four).